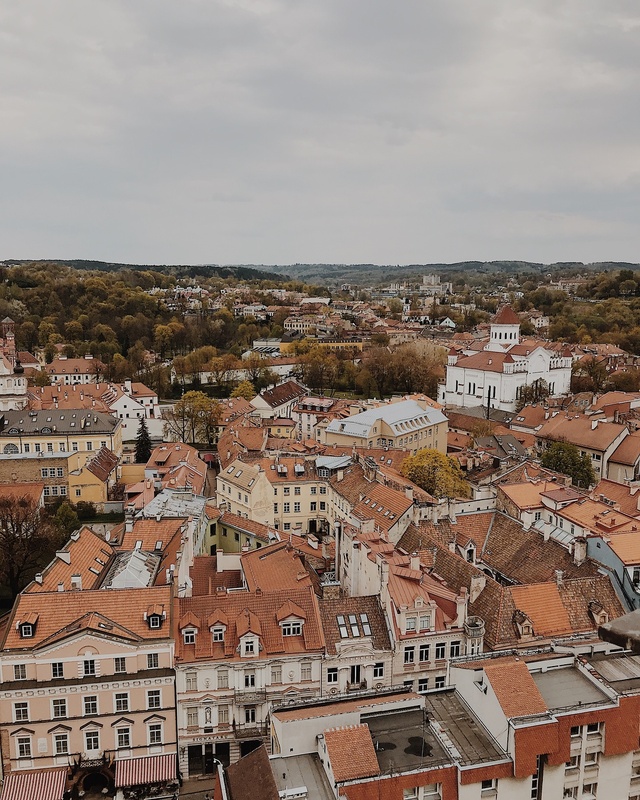 Get all the details about what an Eastern European semester abroad looks like with ILP. That's what everyone is going to say to you when you announce that you are sending in your ILP application to go volunteer there. It's exactly what happened to me! Honestly I didn't know much about Lithuania before I traveled there and if it wasn't an ILP location I probably wouldn't have ever considered it, but when I heard there was a castle and cutie cafes ... I was sold. Spend your days teaching, exploring, and falling in love with their melting pot culture. The overall experience of being an ILP volunteer is similar in every country, but each location has it's own unique aspects and adventures. For example, your meals in China will obviously be different than your meals in Lithuania! Things like housing, meals, teaching times, group sizes, etc are all different depending on where you volunteer (and they can change a bit from semester to semester).Your experience may not be the same as another volunteer's ... even when you're in the same group. Wake up early and jump on Facetime with your family to say, "Hi!" Lithuania is nine hours ahead of Utah (MST) so you'll catch them before they get ready for bed. Then, grab your running shoes and one of your fellow volunteers for a little morning workout. You're living in a neighborhood away from the main downtown area, so it's a perfect spot to go for a quiet jog and get some fresh air. Afterwards, have some yogurt, porridge, and toast with jam for breakfast. You'll either be living in an apartment where you'll go grocery shopping with a stipend from ILP and whip up your own breakfast or you'll live with a host family who will provide meals for you (and if you're lucky they may make you some local dishes). There's a mix of housing in Lithuania so be open to either! You don't have to teach any classes until the afternoon so you've got some free time to kill. Take an hour to work on some assignments for your online class (if you're not taking a break from school), write in your journal about that funny thing your kids did in class yesterday, or research the best hostels for your trip next weekend to Finland and Sweden. Then your group decides to head downtown for lunch because you've all been craving some Turkish kebabs (a classic pastry you're going to love). You jump on the local bus to head into Old Town - after a couple stops and a trolley ride you're in the heart of the city. Grab your kebab on the go, stroll the cobblestone streets, and have a photoshoot for your Instagram at an old cathedral before you head back home to get ready for teaching. Gather up the supplies you prepared for your lesson today before walking over to the school with your group. 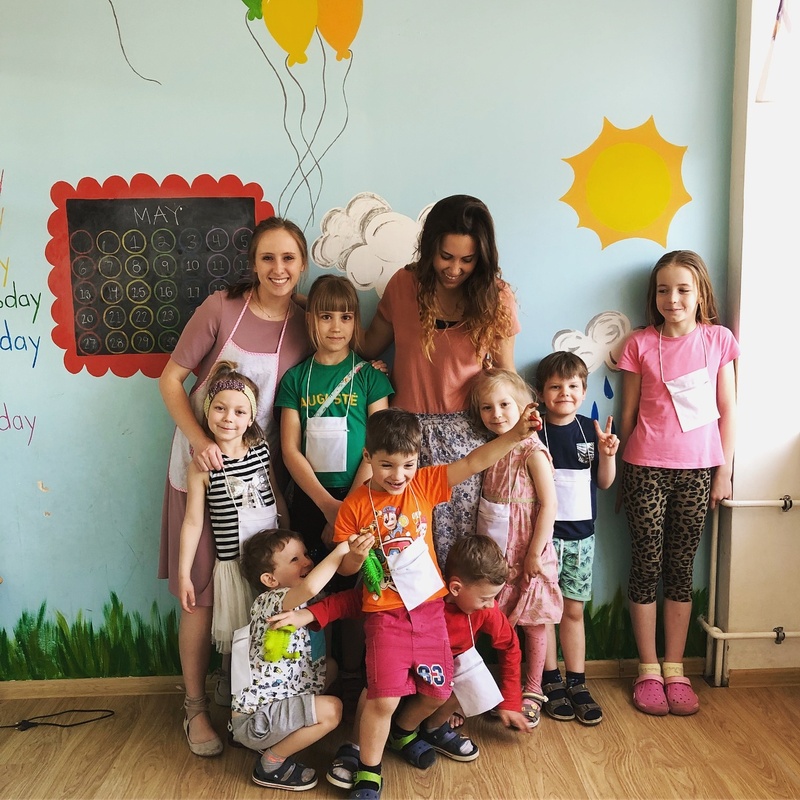 ILP volunteers help children in Lithuania learn English, typically in the afternoons for about 4 hours each week day. 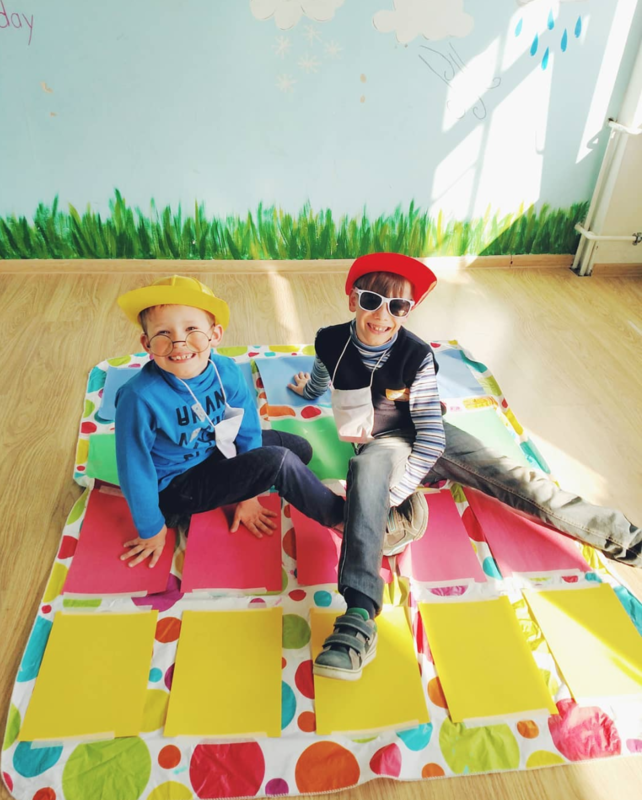 You're teaching "Games" this week so you got a little creative and made a makeshift Twister mat. You have a feeling that all of your kids, from age 4 on up to 12 (and even you!) are going to have some fun with this lesson. ILP classes are activity-based so students are having fun and are engaging with you all while they learn English naturally (so it's totally fine if you've never taught English before). Your class is also small so that you know each of "your kids" by name, know their personality, and see how they learn best. After classes are done, you head back home for dinner. Tonight you're having potatoes and meatloaf — a traditional Lithuanian meal. Your Local Coordinator swings by at your group's request to teach you some of the local language. He actually speaks Russian as his first language so he teaches you some Russian greetings and then later you study some basic Lithuanian phrases on your own to help you at the grocery store. Then check your schedule for the next day to see what you have planned before heading to bed. You could head to the grocery store and try all the new brands to find some new favorites rather than just sticking to what's already familiar to you. Be adventurous! Some volunteers choose to attend an LDS church on Sundays. Some dive further into the culture by reading these 5 books set in Europe. Or maybe you create the ultimate bucket list for your semester so that you make the most of every day! ILP volunteers have scheduled vacation time throughout their semester as well as every weekend off. This gives you plenty of time to go travel to all those European countries you're dying to see. You'll have your travel plans approved by an ILP director to help ensure you're traveling to safe areas, but otherwise it's really up to you and your group where you'd like to go. Start dreaming up your ideal bucket list for your semester in Lithuania! Most countries in Europe don't require a visa to visit, which means you can jump from country to country without applying for extra paperwork or paying fees (score). The biggest exceptions are Russia and Belarus (which border Lithuania to the east and the south). Those two countries require a visa to travel to (even if you're just traveling through on your way to another country like Ukraine), so volunteers in Lithuania just don't go to these countries because getting a visa there is tricky and expensive. 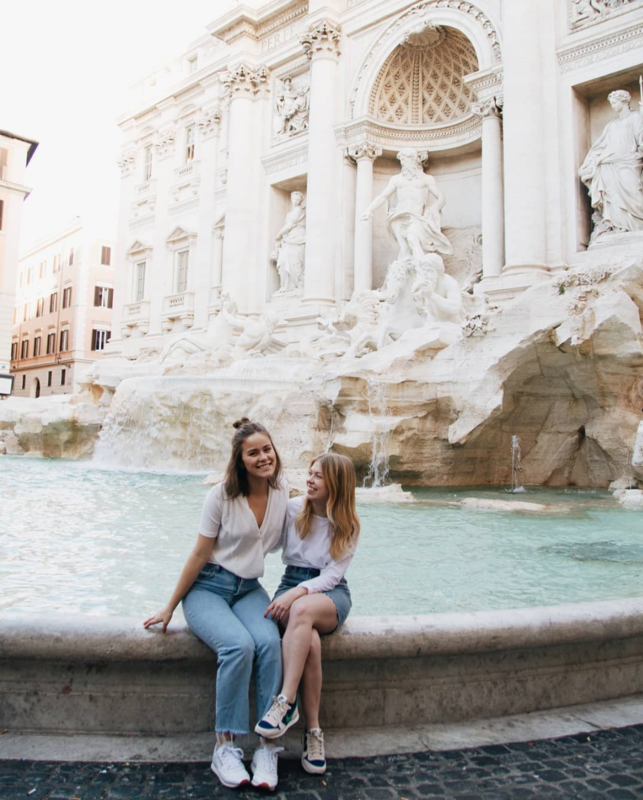 Travel in Europe can be a bit expensive in general (it's actually our most expensive location to travel in), but if you're on a budget there are lots of things you can do to keep costs down and still see those classic sites that you've been dreaming about. Check out budget airlines for cheap flights (for example we even found a flight deal from Lithuania to London for $20). One really nice thing about living in or near Vilnius is that it is an international hub for travel. You can often find really great deals on flights as well as frequent bus routes to other countries throughout Europe! You can also stick to countries that are just cheaper in general for travelers if you're sticking to a budget. We know you've already got your bucket list for places like Paris and Barcelona, but check out these lesser known areas that are just as beautiful without the crazy crowds. 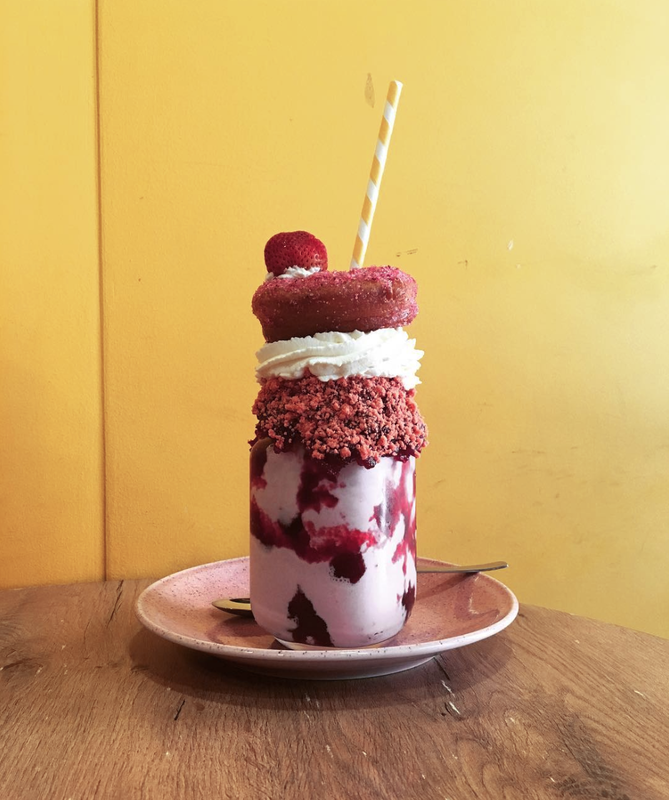 We are not ashamed to admit that a large portion of our favorite experiences have to do with the food! The best part about living abroad for an entire semester (rather than a quick two week service trip) is that you really get to experience the culture, get familiar with the city (you know the bus routes, the best restaurants and cafes, your favorite treat at the grocery store, etc) and you meet some awesome local friends. Rather than a place that you've traveled to, it starts to feel more like home! I started my Lithuania bucket list here, but below is even more ideas to help make sure you get the true Lithuanian experience. Currently we are accepting single females for this area. If you are married or a single male we do have other locations that are a better fit for you. The groups are around 3-6 volunteers each semester, so spots are limited. Psst! Here's 4 things I bet you didn't know about Lithuania. The program fee to participate as a volunteer in the Exchange program in Lithuania is $2,520. This includes your roundtrip international airfare to Lithuania, housing, meals, visa, and training and support for the entire semester. Volunteers live in an apartment with other group members. We also have a handful of volunteers each semester who live with a local host family (often times one of your students' families). The weather here is beautiful! You'll experience the 4 seasons similar to how you would in Utah with the warmest months in the summer and the coldest in the winter. There's plenty to see and do no matter which semester you choose (even in the winter). We recommend applying as soon as you know you're interested in volunteering because the spots in Lithuania are limited and do start to fill up and also because as soon as you apply you'll be assigned an ILP representative who can answer all of your questions, give you tips, and just be your go-to person when you need help. Don't forget to check out ILP's other locations to see which European country is right for you. Sometimes we interview volunteers about how their semester went! Read about Ashlie's experience in Lithuania here. Also, here's what I wish I knew before volunteering in Lithuania! Follow #ilplithuania to discover volunteer's personal accounts and follow them. We even have an Instagram account called @ilptakeovers where we ask volunteers who are in-country right now to take over and post some stories about what they're doing and put a post on the feed. Volunteers are usually featuring what a typical day looks like, what the meals are like, info about vacations they are taking, things to pack (and not to pack), what their apartment/host family's place looks like — you know, all the things you want to know from their perspective. If you'd like to receive more information about volunteering in Lithuania (or any of our other locations all over the world), drop your information below.